Caroline is currently at the Pittsburgh Glass Center in Pittsburgh, PA for the year of 2019. 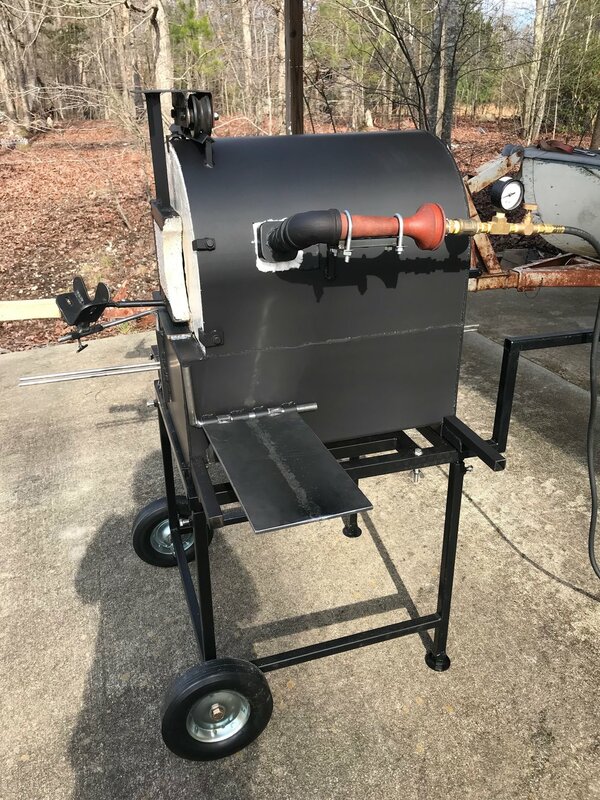 Caroline Landau, Sam Schumacher (Rocketworks Glass), and James Friedberg made a portable glassblowing furnace (20lb crucible) in 2017. During Caroline’s time in North Carolina in 2018, she continued to add to the progress of the furnace with the help of fabricators at Wet Dog Glass. 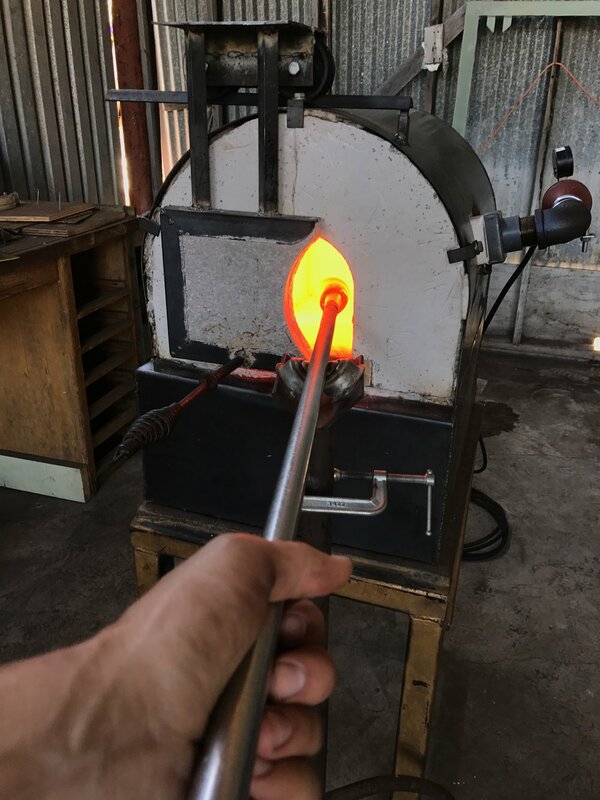 The goal is to take glass outside of the traditional confines of the studio, and allow it to be accessible in other ways; to be able to teach and demonstrate the art and process of glass blowing portably. Not only are functional pieces made, a goal of this furnace is to work experimentally and collaboratively. If you are interested in learning more about the furnace please reach out! Email in the 'contact' section.